Well friends, I made it. Today marks my official one year fitness anniversary. One year ago today I created an account on My Fitness Pal and started watching what I eat and exercising consistently. What started as a diet has turned into a lifestyle and I've made more progress this year than I ever could have imagined was possible for myself. I surpassed the goal I set last month to make it to 75 pounds down by one year and hit 78 pounds down!!! You can read my very first post about starting this journey here and you can catch up on all of my other posts here, but I will give a little background again if you are reading this for the first time. I've always been a little on the heavier side but after getting married and settling into a life of cooking new pinterest recipes every week, acquiring a taste for wine and other alcohol and only exercising 2-3 times a week with meager effort, my weight ballooned. The morning of January 16th, 2014 I stepped on the scale and weighed in at 246 pounds and I couldn't believe it. I was obese. My BMI was a 38.52 which is "severely obese." At 23 years old I was finding new stretch marks on my belly weekly and I lived in leggings and sweater dresses at work because I couldn't bring myself to buy a pair of pants that fit me because I couldn't bring myself to even try on a size that would actually fit! (At my heaviest I bought a pair of 18 WIDE trousers from Target with an elastic waistband, so it's probably safe to say I was a size 20). 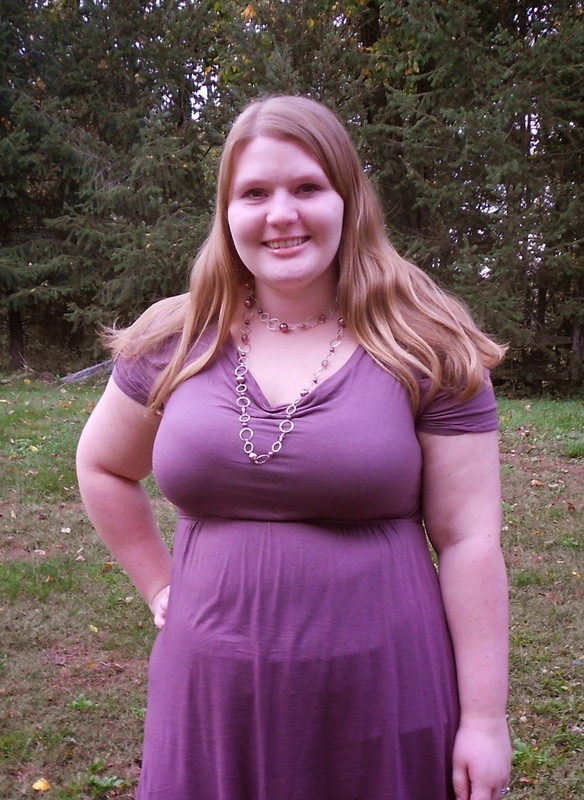 I was the heaviest I had ever been in my life and I was unhappy about it. I started hating how I looked in pictures. All I could notice was how my body had changed. 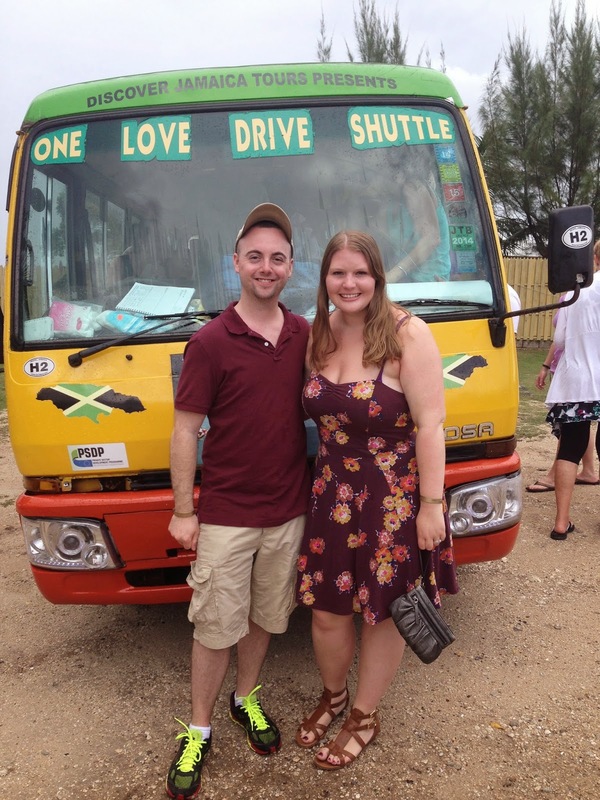 My husband and I were planning on taking a trip to Jamaica (we went there on our honeymoon and just LOVE it there now!!) and I didn't want to have to look back on all our pictures from the trip and not be able to remember how much fun we had because all I could focus on was how fat I looked. Setting a tangible goal like that somehow sparked a change and I stayed committed week after week and lost 30 pounds before we left for our trip. I felt like a million bucks on that trip. Things were finally shrinking on my body: my waist and face especially which had really ballooned a lot during my weight gain and I was just so FREAKING proud of myself for staying committed and loosing the weight. Loosing weight is addicting. I had to overcome a lot of mental issues first. You have to believe in yourself first. I don't think you can lose weight for anyone else but yourself: you have to believe that you are strong enough. 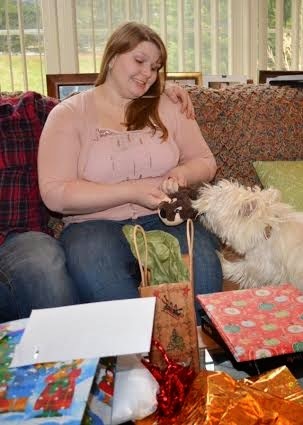 After I got past my own mental issues being successful at loosing weight was empowering. When I first started loosing weight I set a goal weight for 190 pounds. My logic behind that? It was a comforable distance away from 200 :) That was all I wanted and I (honestly) didn't believe I could get there. BUT after 9 months of staying dedicated I MET THAT GOAL and decided I wasn't done yet. I didn't want to be "comfortable." I wanted to be healthy. I wanted to be happy. I wanted to be STRONG. So, here I am, 12 months in and I am officially down 78 POUNDS and I feel more motivated then ever. I've lost 8 POUNDS since last month - and Christmas was thrown in there too!!! I've gone from 246 pounds, 18/20 pants and XXL tops to 168 pounds, size 10 pants and medium tops. I've lost over 12 inches off my waist and another 12 inches off my hips. I've lost over 31% of my body weight. I have gained some too though. I've gained knowledge in how to cook food that is healthy and still tastes great. I've gained tons of confidence. I've gained a healthy relationship with exercise: it's not a chore to me any more and I love how it makes my body feel afterward. I've gained an understanding that no, I don't think I am going to be counting my calories religiously for the rest of my life but that this isn't just a diet, the changes I've made are lifestyle changes, and I am ok with that! I'm not quite done yet. After loosing 78 pounds, dropping another 22 to make it an even 100 pounds doesn't sound too hard anymore :) I'm motivated for a couple other reasons too. 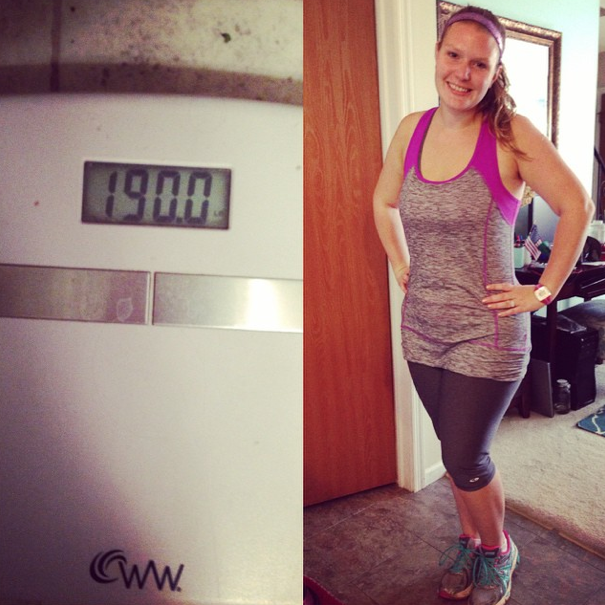 For the first time IN MY LIFE I weigh less than my husband, and I want to keep it that way! He just started using my fitness pal to drop a few pounds (he lost 30 pounds using another app after our first year of marriage) so I have to stay a couple steps ahead of him ;) I also bought a BIKINI online that I really would like to wear this summer...and lets just say that after trying that sucker on....hm yeah. Not quite there yet hah. There is so little material on bikinis! Ack!! We also started a biggest loser competition at my work and I've been talking a lot of smack to my coworkers about beating them (I'm just a litttttle bit competitive hah) so for all those reasons I'm excited to keep working hard and see what kind of progress I can make. I can only speak for what has worked for me, but I truly believe that there really aren't a lot of gimmicks in weight loss, it all goes back to diet and exercise. These are some of the things that have worked for me and might help anyone else looking to make a lifestyle change. 1. Find a program to track what you eat. I use My Fitness Pal because it works great on my phone and is free and pretty easy. There are lots of other options like weight watchers, 21 day fix meal plan, IIFYM, etc. but somehow you need to track what you are eating and get that under control. I like counting calories and using My Fitness Pal because I can create recipes on it, scan bar codes for packaged food and it remembers what food you eat so I enter the same breakfast in day after day and it takes like 2 seconds to log it. This was a HUGE learning curve for me in the beginning, I learned SO MUCH about how many calories different foods/drinks/recipes actually had. 2. Limit alcohol. Let's set the record straight. I love wine. I love drinking. This may not be the case for you, and if so, great! But for me, I know alcohol played a huge factor in my weight gain. I would have a hard cider or glass of wine many days during the week and then Friday and Saturday go pretty hard. I was young, (I still am hah) but from 21-23 I enjoyed being able to hang out with friends and drink socially and I used those outings and events as an excuse to get buzzed and enjoy myself. I'm not saying that I was "partying" every weekend and getting "wasted" or anything like that, but if it was the weekend and I was drinking, I didn't see the point in just having one or two! Now I have cut all alcohol out during the weekdays. Gasp! No weeknight wine. It just has too many calories that I would rather eat during the week. I try not to go overboard on the weekend now either. I like to get up and exercise and make morning classes at my gym sometimes on the weekend so I don't want to feel crappy the next morning which helps me not go overboard. 3. Give yourself permission to cheat (on occasion). I really think the only way I've stuck to this "diet" is by allowing myself to cheat on the weekends. I don't count my calories every day on the weekend. I have at LEAST one or two cheat meals. Some weekends I do better than others, and the more motivated I feel the more I try to watch what I eat on the weekend, but for my sanity I have to give myself a break and I use the weekends as something to look forward to when I am trying to keep my eating 100% on point during the week days. 4. Exercise. Exercise. Exercise. I don't care what you do, I don't care how you do it, but you have to get your body moving somehow. Make it a part of your life. Make it a part of your schedule. I really recommend buying some type of heart rate monitor as well such as the Polar FT4 (affiliate link) that will track your heart rate and accurately count how many calories you burn. This helps me know how many extra calories I can eat back then (that's what we realllly care about, right???) You need to listen to your body, but try to exercise more than you might think necessary. I exercise every day. It is rare that I take a rest day! I'm not saying you have to exercise every day too if you want to lose weight but your body is capable of much more than you realize. When I first started I could hardly jog for 30 seconds outside without stopping. Now I've gone on 6 and 7 mile runs. What??? When you stop making excuses, you start seeing RESULTS. 5. Learn how to cook delicious & healthy food. Everything I've cooked for myself along this process I've served to my husband. I'm not eating steamed broccoli and baked chicken every night. There are tons of recipes for GOOD food with GOOD ingredients out there if you just do a little digging past all the ones that throw in tons of cheese and cream cheese and heavy cream for deliciously fattening flavor ;) I started cooking a LOT of recipes from Cooking Light, that is a really good resource to start with. You can follow my healthy eating board on pinterest to see some of the other stuff I cook! 6. Set a goal. Why do you want to lose weight? Turn your frustrations in motivation to make a change and set SOME kind of goal. I wanted to lose weight to look better in Jamaica. It was as simple as that. If only all of us could book a trip to Jamaica to use as motivation to lose weight though, right?? hah. I doesn't have to be a grand vacation, it could be as simple as wanting to fit back into your skinny jeans before your next birthday or wear a size 10 by your next wedding anniversary, use SOME kind of event/reward to help motivate you to keep going day after day. Here's a hint: if you make it to your first goal, it gets pretty easy to keep going after that on your own accord, I promise!! 7. Never Give Up. The most important thing. I've tried to lose weight a dozen times up until this point in my life and it has hardly ever stuck. SPOILER ALERT: you are going to screw up. Especially in the beginning! You know what I've done while on this diet? Eaten half a domino's pizza by myself in one sitting. Had cake and alcohol for dinner. Went to Jamaica and drank whenever I felt like it and ate whatever I felt like for 6 whole days. Somehow despite every cheat and every screw up I managed to drop 78 FREAKING pounds and keep it off. How? 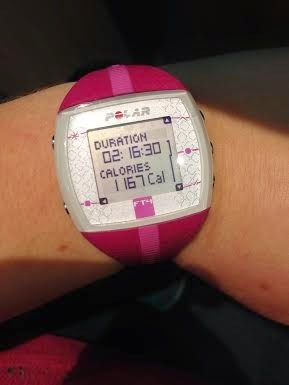 Every single Monday I showed up at the gym for my Zumba class and went back to tracking my calories. Week after week. After loosing 11 pounds my first month and thinking... I don't really see a different I said, I wonder what it will look after I've lost 22. When I got there I said I wonder what it will look like when I have lost 44. 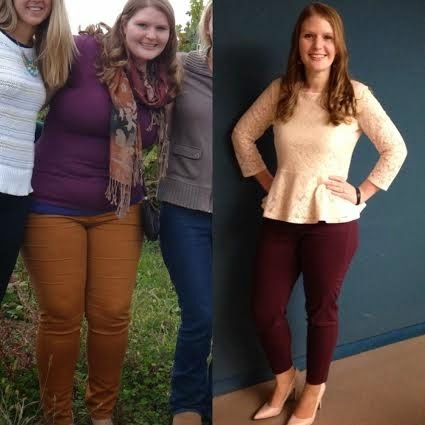 Here I am 78 pounds later and I SEE THE DIFFERENCE! Eventually you WILL see your progress if you show up and stay committed long enough. Alright. That's what I've got for now. To everyone who has been following along through my blog or instagram, who has commented or left some love along this journey, thank you for the kind words. 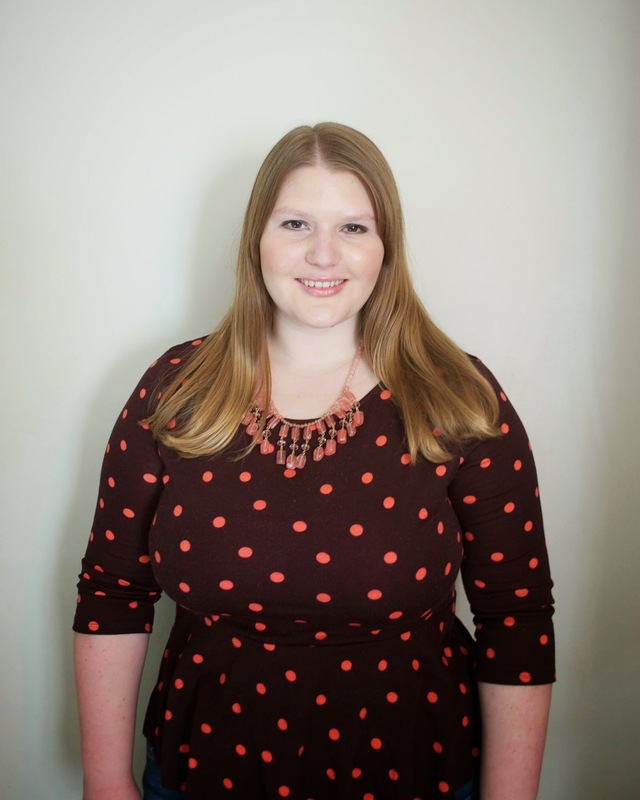 When I started blogging about my diet 11 months ago I didn't think getting healthy would become quite as big of a factor in my life as it is now. So I hope you are ok with me keeping up with the updates along with all the other crafty and girly posts! Fantastic! You really look amazing. This is so inspirational Rebecca! You look great! 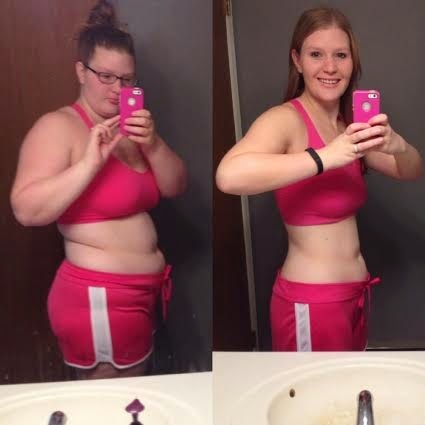 Congrats on sticking to your goal and making a healthy lifestyle change. These are amazing tips! 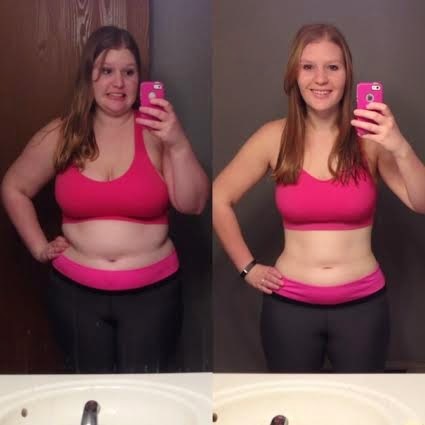 Congrats on the weight loss – you did an amazing job in being dedicated and leading a healthier lifestyle! I know how hard that is, since it took me a year just to lose the freshman 15 I gained in university. Hopefully you don't get this twice, but you are AMAZING! congratulations!! that is so awesoem and exciting for you!! Wow. What an inspiring story :-) I really appreciate your honesty. 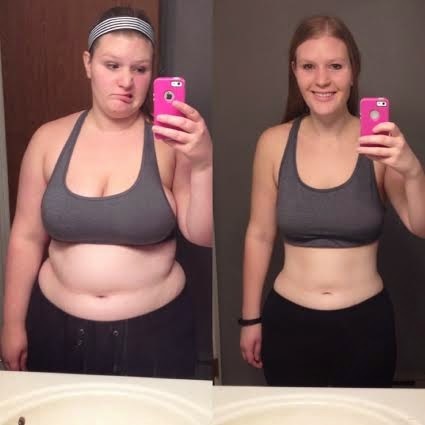 Congratulations and I know you will get that 100 pounds lost! I feel inspired to work on my own journey as while I'm not classified as overweight, my BMI is 24, I still feel gross about myself since having a baby and hate looking at pictures and just seeing myself as a bigger version. Thank you! You look absolutely amazing. 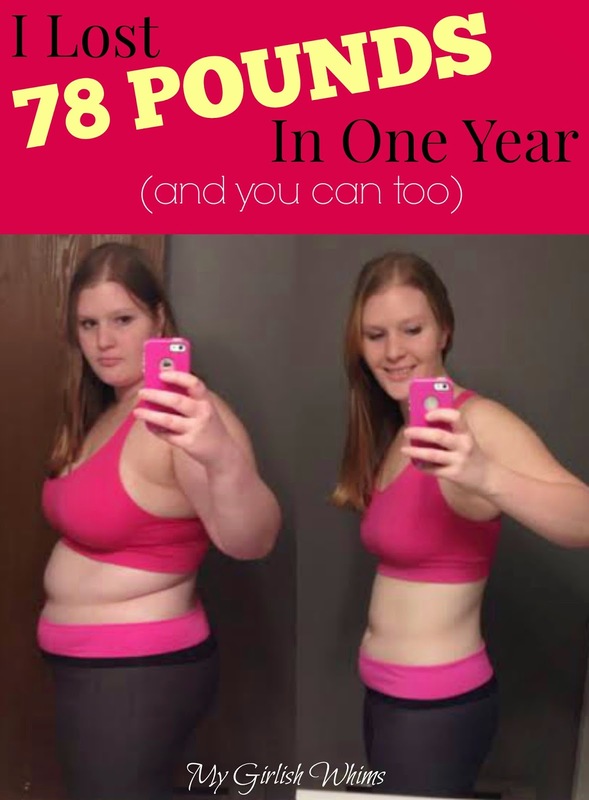 You don't need to loose any additional weight!! !